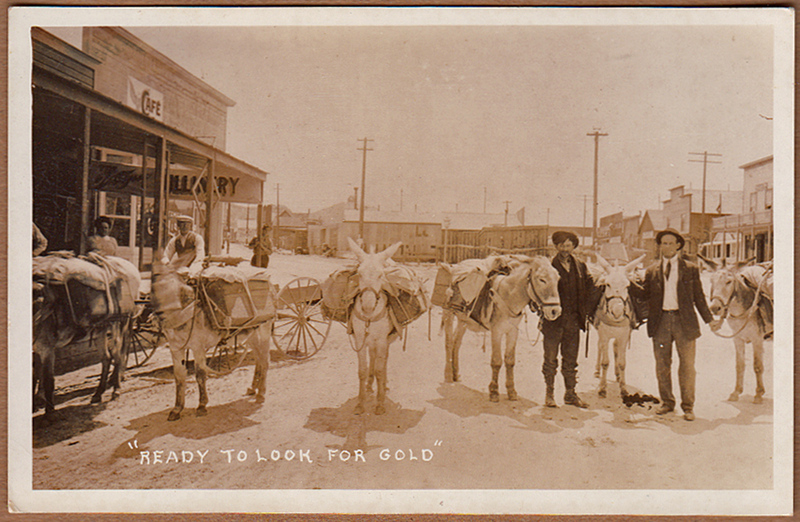 Here's an old, real-photo postcard entitled "Ready to look for Gold." The burros are all packed, the prospector looks ready to head for the hills and the guy in the coat and tie could be the man providing the grubstake. I wonder if the photographer just happened upon this scene or if it was staged.